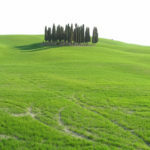 In 2004, Val d’Orcia, was included by UNESCO as world heritage landscape area, with the following reasons: the Val d’Orcia is an exceptional example of how the landscape was redesigned in the Renaissance period to reflect the ideals of good governance and create an aesthetically pleasing pictures. 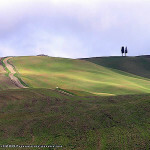 The landscape of Val d’Orcia was celebrated by painters of the Sienese school, which flourished during the Renaissance. 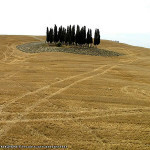 Images of the Val d’Orcia and particularly depictions of landscapes in which people are depicted as living in harmony with nature, have become icons of the Renaissance and have profoundly influenced the development of landscape thinking in future years. 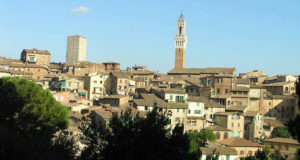 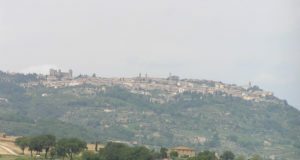 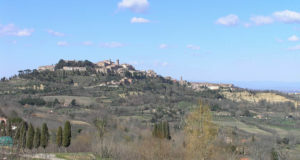 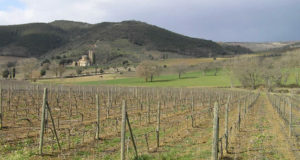 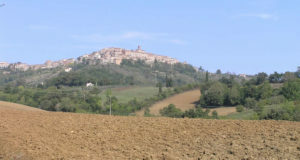 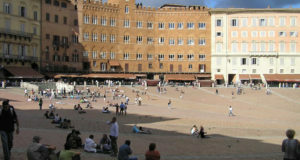 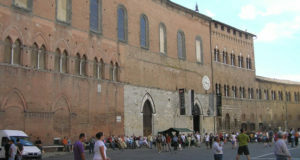 Val d’Orcia is all included in the following municipalities in the province of Siena: Castiglione d’Orcia, Montalcino, Pienza, San Quirico d’Orcia and Radicofani. 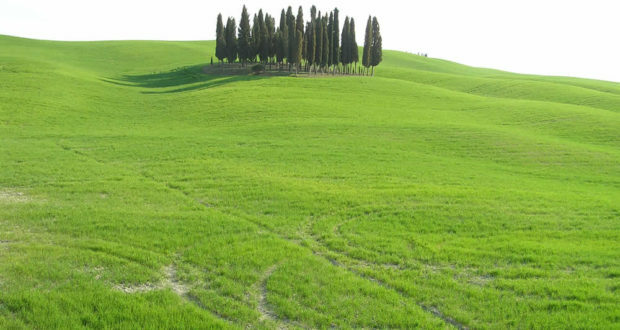 Its territory consists mainly of hilly landscape with soft shapes and engravings valleys not very prominent. 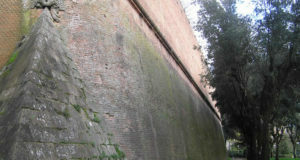 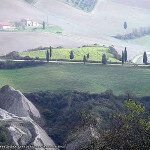 The river cuts across the Orcia valley, the dominant feature of the landscape consists of erosion, which often expose the substrate light-colored clay. 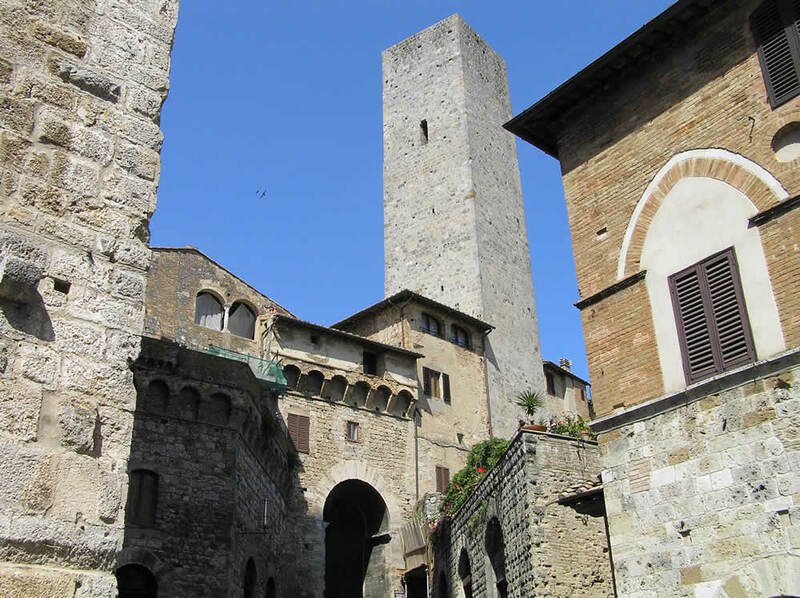 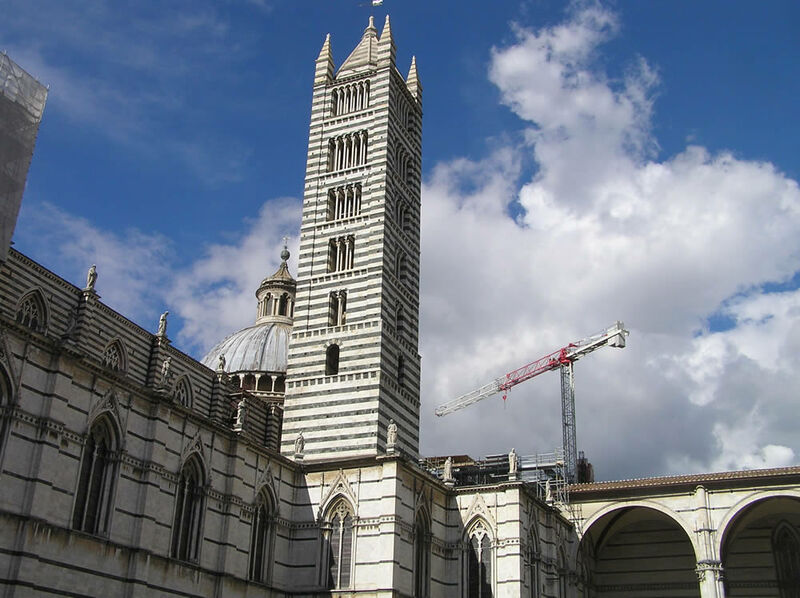 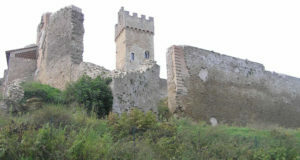 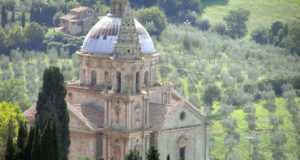 All municipalities in the Val d’Orcia, besides its landscape, are attractive from the historical-artistic aspect presenting architectural relevance of the Middle Ages (11th-14th century) and Renaissance (15th-16th century). 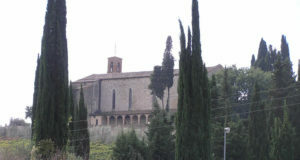 The most important are: in San Quirico d’Orcia (Collegiate Church, Palazzo Chigi and the Horti Leonini); in Pienza (Cathedral, Church of San Francesco, Corsignano church, the Ammannati, Piccolomini and Bishophric Palaces), in Montalcino (the Fortress, the Municipal Palace, the Church of San Agostino); in Castiglione d’Orcia (the Fortress of Aldobrandeschi); in Radicofani (the Fortress and the medicean walls). 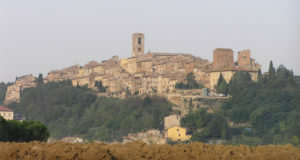 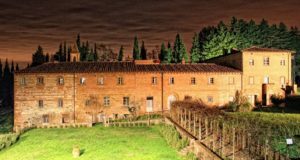 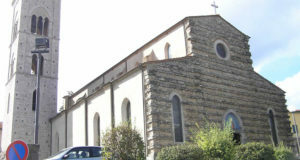 Among the small villages scattered in the Val d’Orcia include: the villages of Monticchiello, Corsignano, Castelluccio and Spedaletto, in the municipality of Pienza; Rocca d’Orcia, Campiglia d’Orcia, Ripa d’Orcia Vivo d’Orcia in the municipality of Castiglione d’Orcia; Bagno Vignoni and Ripa d’Orcia in in the municipality of San Quirico d’Orcia; Castelnuovo dell’Abate in the municipality of Montalcino. 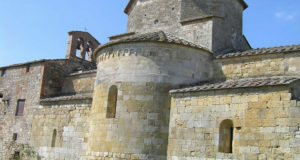 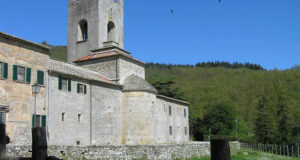 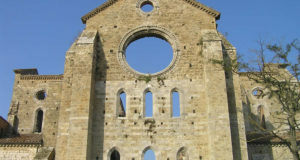 Of great interest are the testimoniances of religious architecture scattered throughout the valley as the camaldolese monastery of San Piero in Campo; the olivetano monastery of Sant’Anna in Camprena; and at end perhaps the most beautiful religious building of all the Val d’ Orcia: the wonderful Abbey of Sant’Antimo in the municipality of Montalcino. 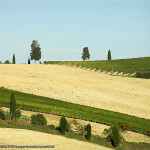 The landscape of Val d’Orcia changes every season, here a selection of photos taken in Spring. 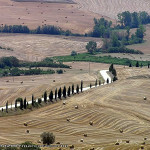 The landscape of Val d’Orcia changes every season, here a selection of photos taken in Summer. 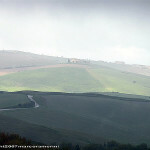 The landscape of Val d’Orcia changes every season, here a selection of photos taken in Autumn. 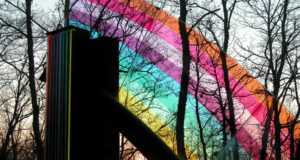 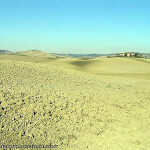 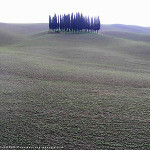 The landscape of Val d’Orcia changes every season, here a selection of photos taken in Winter.